HOLIDAY HOMES TO RENT IN LIMOUSIN. Welcome to our selection of holiday homes to rent in Limousin, France. The region of Limousin, in the centre of France, is probably most famous for the breed of cattle that shares its name. In fact, there are a lot of towns and villages in Limousin that have their own famous specialities, such as Limoges and its pottery and Tulle and its lace. These attractive towns are well worth visiting, if you have no intention of buying any of their famous wares. The region is a very rural one, as you might expect from somewhere that gave its name to a farm animal, with mountainous areas for walking and lakes for swimming, sailing or fishing. The region's main town of Limoges has a pleasant centre, with an impressive Gothic cathedral, an art gallery in the former Bishop's Palace and beautiful gardens to sit and enjoy the sun. The main square is the lively heart of the town, especially in the summer when it is filled with pavement cafes. Limoges is best known for the pottery and ceramics that have been produced in factories there for centuries and which are still being produced today, You can tour some of these factories, or just visit the museum dedicated to the history of the industry and which features some of the best examples of the region's creations. Further south is the smaller town of Tulle that is also famous, this time for the intricate lace work which is made there. Although the art was forgotten for decades, more and more shops are beginning to make and sell their own lace, and there is even an International Lace Festival held in the town each summer. What people might not be so aware of is that Tulle is also the home of the accordion, that most French of musical instruments. The Tulle factory making these instruments is the last in the country and tourists can take tours of the premises or visit the museum which features dozens of instruments. You can expect to hear a lot of accordionists playing in the streets of Tulle during the summer or the festival of music which takes place in the town every September. Finally, the ancient town of Aubusson is one of the most famous producers of tapestries in French history. Many of the tapestries that you can see on the walls of castles and palaces elsewhere in France were made in this small Limousin town. There is, of course, a museum displaying some of the best examples, while the tapestry maker�s house allows visitors to see how these works of art were traditionally produced. Looking for self catering holiday accommodation in Limousin? 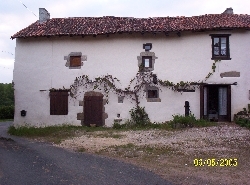 Then below is a selection of gites in Limousin and villas in Limousin that can be rented direct from their owners. You can either click on each listing for further details or you can use our search engine on the left if you are looking for something in particular.